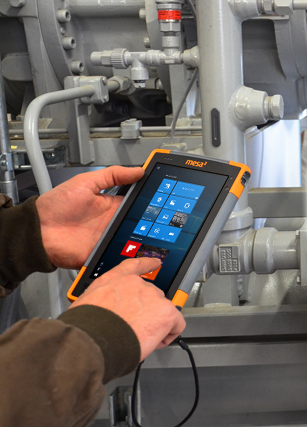 Our Hazloc handhelds are especially important for users working in or near petrochemical plants, gas and oil pipelines, refineries, or other potentially explosive environments. To learn more about the Mesa 2 Hazloc, download our product sheet here, or contact us for more information. A couple of days ago we were invited to an oil rig and that was the first time I saw some of this Juniper Equipment… TBH I’ve never seen such kind of computers before. Jesus it was the toughest thing ever.. and it was just a tablet. I forgot to ask the name to the operary but I think I’ll find it diggint through the blog. When I saw Juniper system first, I was surprised. I have never seen such a computer before. It is very small computer. Just like a tablet. Thanks for you instructive article.